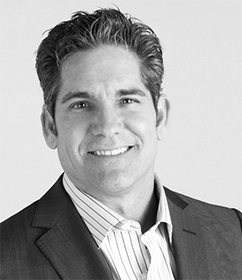 Grant Cardone is an American entrepreneur, New York Times best selling author, speaker and motivator. Cardone is a respected, highly regarded master salesperson whose passion is to teach people how to sell themselves, their products and services regardless of economic climate. His books, audio packages and seminars provide people of all professional backgrounds with the practical tools necessary to build their own economies towards the path to true freedom.